The Valentine’s Day Massacre Special, the latest free update to GTA Online that’s coming this Friday features a variety of fun Valentine's themed extras for Story Mode and GTA Online. Paint the town red in the classically-inspired Albany Roosevelt. This armored 1920s limousine is perfect for gangsters and their molls. To properly run amok with the new Roosevelt, get in the driver’s seat and let your friends or Crewmates hang off the side, firing and taking out your rivals as you pass them by. The Roosevelt can be accessed from any garage property in Story Mode and is available in GTA Online from the legendarymotorsport.net in-game website. Everything in the Valentine’s Day Massacre Special will be available for a limited time starting this Friday, but once acquired you will be able to keep them in your inventory for good. We will also have more information soon for other forthcoming GTA Online content updates including the Dangerous Business Pack, Online Heists, an expansion to the Creator tool and lots more. Dangerous Bussiness Pack and an expansion to the Creator Tool? 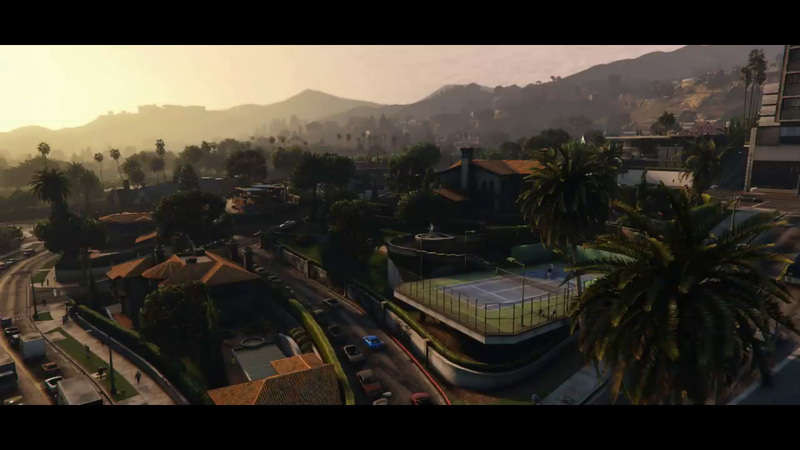 Sounds like we've got more good stuff heading our way soon, incuding more information on the much anticipated Heists. Join the discussion in the Forums! Yay, flapper dresses + machine guns! The car will most likely be free, like the cars from the Beach Bum Pack. Everything else in these small packs has been free, thus far. Any idea how much it would be though? How much will the car be in online? 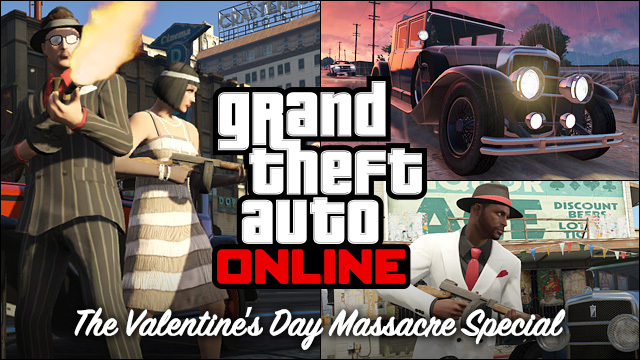 Valentine's Day Massacre DLC Pack Coming Friday - A 1920's style Gangster DLC pack is heading our way this Friday.